Richard Terry started work at the Oriental Club in 1851 and ten years later wrote this charming little book. The club had been founded in 1824 by officers of the East India Company who were not eligible for the military clubs of Pall Mall. 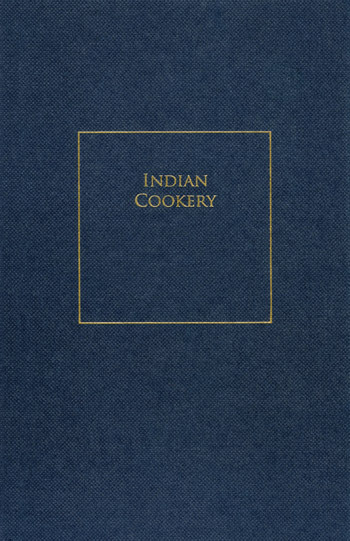 Then as now, the Oriental Club's membership was composed of men who had lived or worked in the East, and it was for such men that Richard Terry wrote, no doubt to give them an authentic reminder of the dishes then enjoyed by the British Raj. Here you will find Perriwinkle Curry, Bullachong and Cuthree, Palantee and Bird Room Stew. As well as the 60 recipes there are fascinating advertisements from Oriental suppliers for such items as Tipparee Jam and Tapp Sauce, as well as from firms selling triturating and comminuting machines. This volume is a facsimile edition of the 1861 original publication.